For as long as I can remember I’ve been passionate about wildlife and was determined that I would one day work with the beautiful, exotic animals I saw in the zoo like monkeys, tigers and even hyenas. Yes, you read that right – even hyenas, I’ve always had a love for the underdogs of the animal kingdom. Sometimes I didn’t know how much I loved a particular animal until I had an encounter with it, like snakes, tarantulas and rhinos. During my days at college I had an amazing professor who at the time was working for World Wildlife Fund Canada and was a long time volunteer for the Toronto Zoo, and for one of our classes we headed to the zoo for a little behind the scenes tour. I was ecstatic! That tour ended up including a chance encounter with some of the zoo’s rhinos and left me with a lasting memory to this day that still makes me bubble over with happiness. There I stood face to face with an over 2,000 pound, just over 5 feet tall beast with only bars between us – but I was caught up in her eyes, we stared at each other for what felt like an eternity. I moved closer, I was anxious with excitement but could feel her relaxed breathing. Then I reached out to stroke her ear which she clearly enjoyed as she tilted her head down so I could better reach. Then I rubbed behind her ear and melted – it was as soft as a baby’s skin and she seemed to relish in it. Turns out, her keeper told me later, it’s the softest spot on a rhino and she always loved a rub behind her ears. What did I walk away from that experience with? 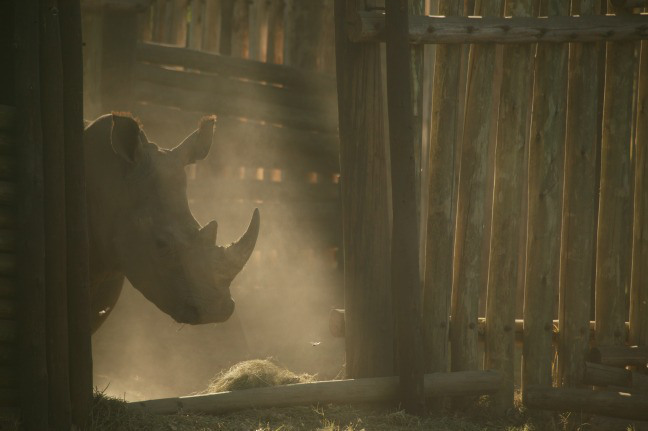 I left feeling an amazing connection with an all too often brutalized beast, that rhino’s soft spot left a soft spot in my heart and from that day I have tried to do whatever I can to help save her cousins in the wild and promote the need for more action to stop poachers from killing them for their horns. That’s why I was so excited when I heard about the #JustOneRhino campaign. 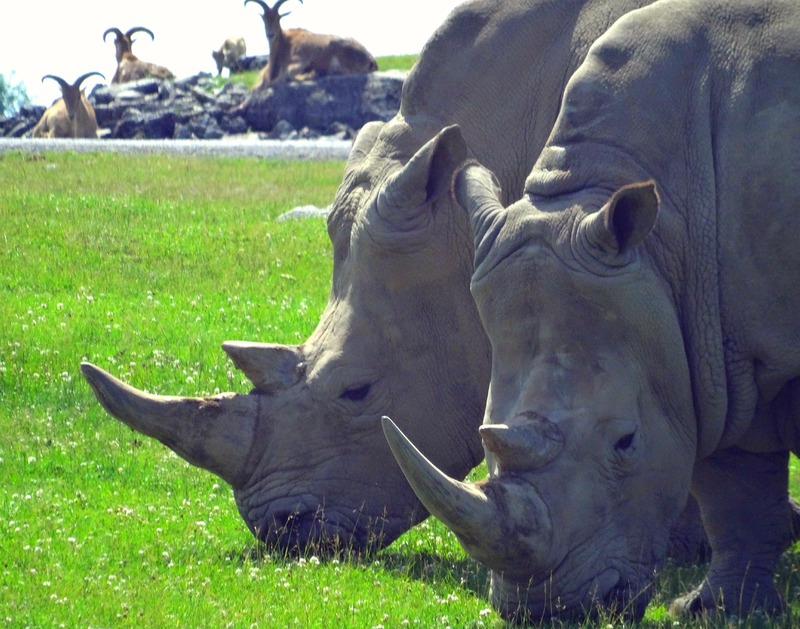 I’ve teamed up with over 120 bloggers to join forces with Global Travel Media and Travelers Building Change to help create awareness and raise $45,000 to help save #JustOneRhino. Conservation advocates Derek and Beverly Joubert have launched Rhinos Without Borders through their Great Plains Foundation to save rhinos by trans-locating 100 rhinos from South Africa to Botswana to help protect them from poaching. The estimated cost of this initative is $5 million with an average cost of $45,000 for each rhino – hence the #JustOneRhino campaign. 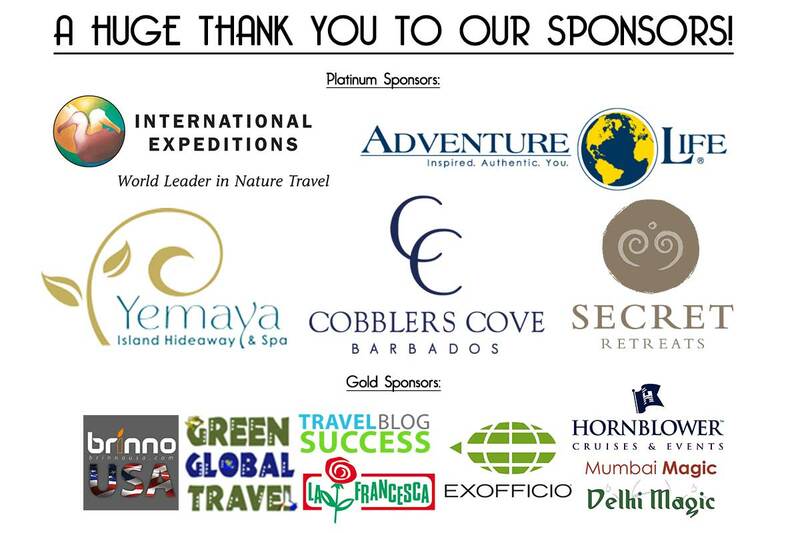 By donating at the Travelers Building Change you can not only help save the life of #JustOneRhino but also have a chance to win some amazing prizes including the following epic trips of a lifetime. Remember every little bit counts! I’ll be donating, will you? Fantastic campaign. I encourage all bloggers to join up and everyone else to donate. Thanks for bringing this campaign to my attention, Lady of the Zoos!